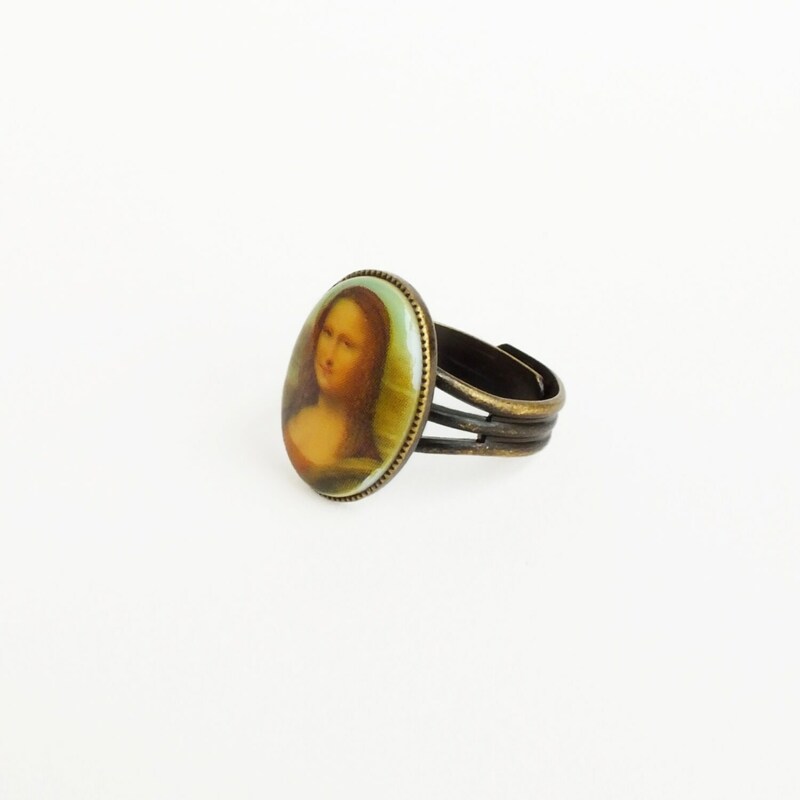 Handmade Mona Lisa art ring with brown vintage oil painting cameo and adjustable antique brass band. 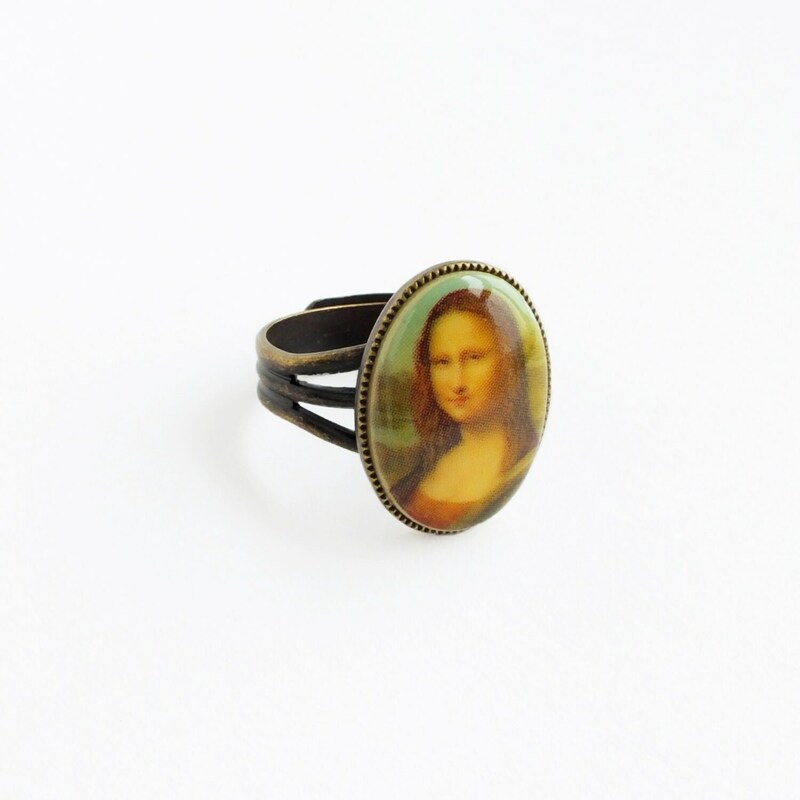 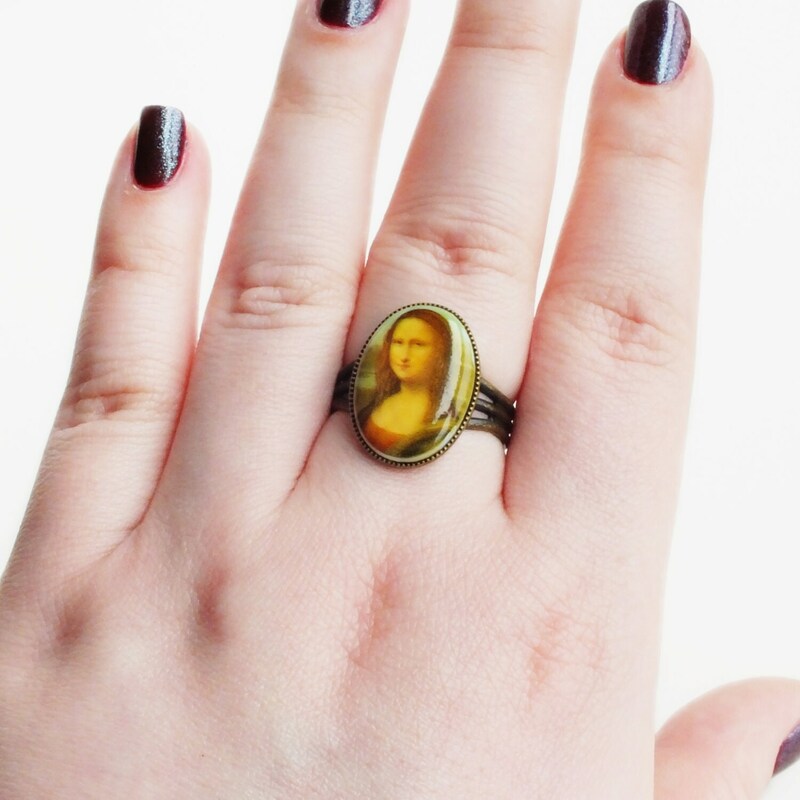 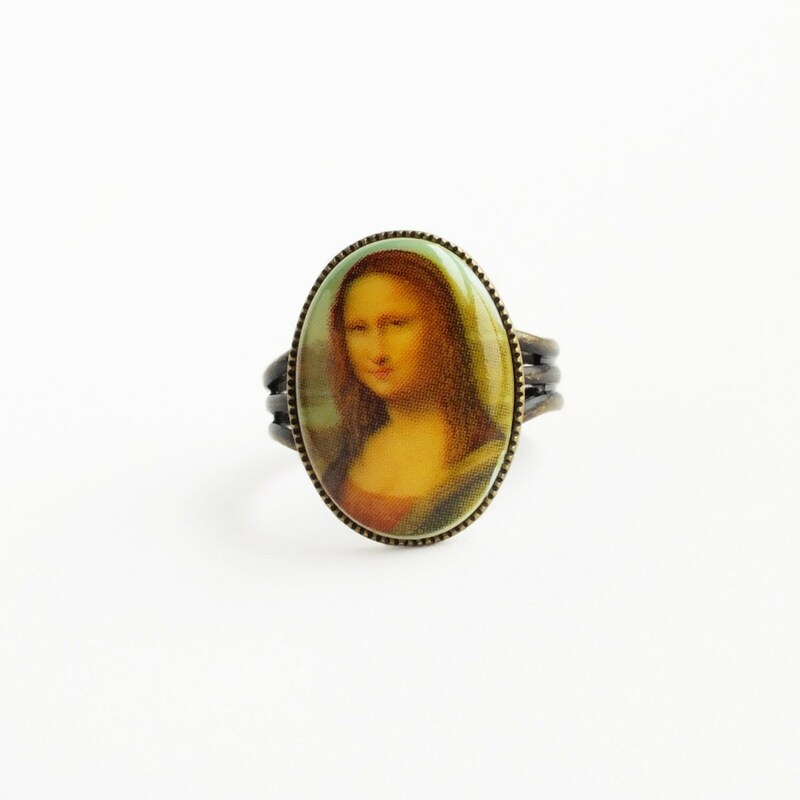 Cameo ring made with a stunningly beautiful glossy genuine vintage Mona Lisa painting cameo. 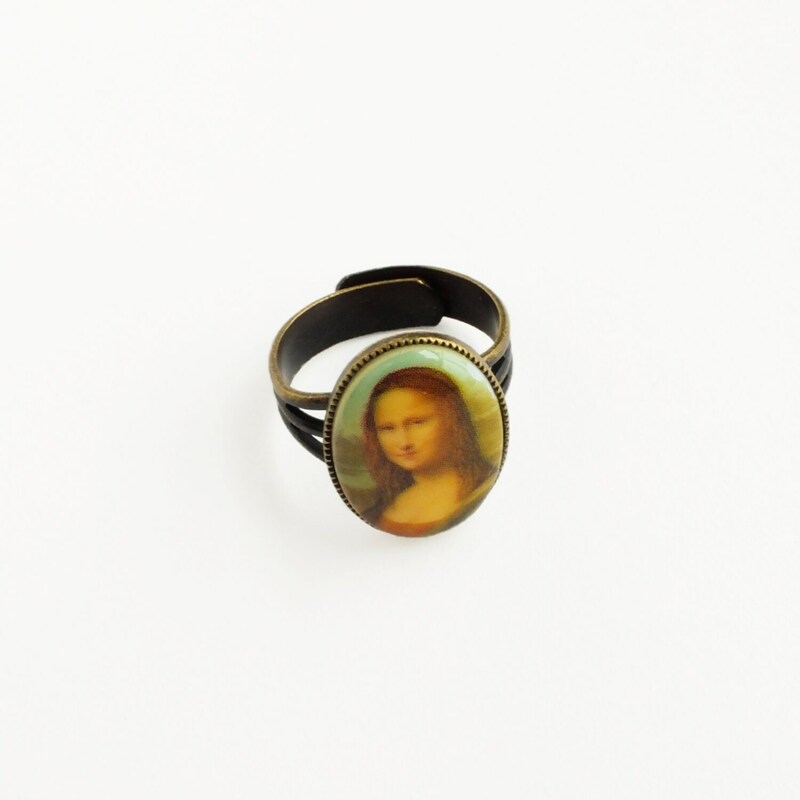 I set it in a dark brass lace edged setting secured to a super comfortable adjustable antique brass ring.